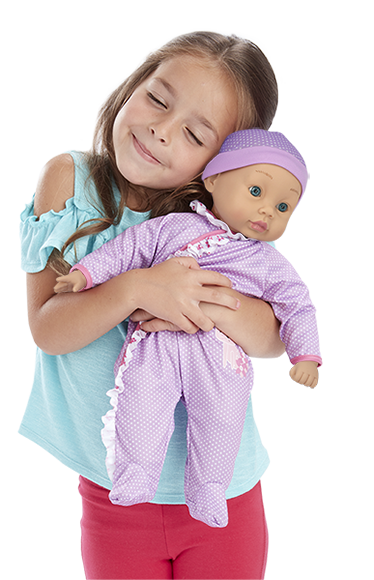 So soft and cuddly, these 19” baby dolls are the perfect size to snuggle with. Press baby’s chest to hear 6 different baby sounds. Collect both styles.